With different types and brands of flashlights on the market, you should select a quality flashlight that will serve you for over a long period of time. A flashlight is not just something that you will be buying on a daily basis and that’s why you should pick a quality and sturdy flashlight. 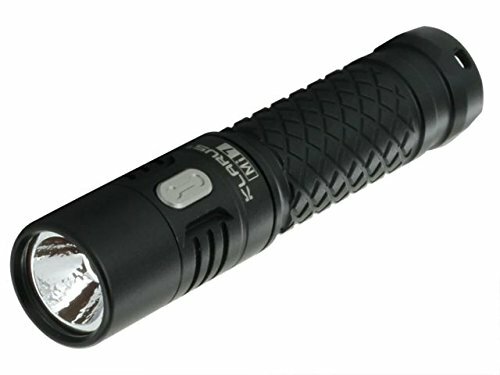 The Klarus Mi7 is a 700 lumen keychain flashlight and maximum run-time almost 3 days at low mode. Klarus Mi7 flashlight is not only portable, but as well durably made. It is also bright and comes with great features. Read this klarus Mi7 review article to know more about this flashlight. Klarus Mi7 uses CREE XP-L HI V3 LED bulb which is indestructible and has 50, 000 hours lifespan. It is easy to operate by a one touch side switch and has 3 different lighting modes together with strobe and SOS modes. This flashlight is built for you use in different environments such as underwater up to 2 meters and dusty places. The O-ring seals secure the inner parts of the flashlight. 4 Why you should buy Klarus mi7 flashlight? Blackouts, working late night, and a flat tire at night – are just some of the scenarios that make you wish you had a flashlight. People normally take flashlights for granted until they realize that they need one. It doesn’t matter how small the flashlight is, but it can still prove to be helpful. If you don’t love flashlight, then you can get one of the everyday carry lights such as the Klarus Mi7 LED light. Despite its small size, the flashlight has a very bright illumination with a maximum of 700 lumens. Its beam covers a distance of 110 meters which is just outstanding for its size. The over-discharge protection lowers output level so that it can save batteries. Other great features include battery level indicator, lock out mode, and reverse polarity protection. 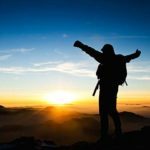 Why you should buy Klarus mi7 flashlight? Sturdy construction – the Klarus mi7 flashlight maybe small in size but it is still well built. The body of the flashlight is made of aerospace grade aluminum material. It also comes with a hardened mineral glass lens with anti-reflective coating to prevent from scratch. The switch is made of stainless steel which is very durable. The grip of the flashlight is made of a diamond shaped knurling that makes handling it to be stable and easy. Simple operation – using this flashlight is very easy. The led flashlight comes with a stainless steel switch used to power on/off the flashlight. The switch is built in a way that you can touch it once to access moonlight and high output levels. This makes it to be even more efficient in use. Portable flashlight – the size and design of this flashlight is one to admire. It can fit easily in the pocket, backpack, or even be attached to your belt. The flashlight is almost the same size with pen and carrying it from one place to another won’t be a problem at all. Weighing just 26.4 grams without batteries, this is not a cumbersome flashlight to have. Actually, if you are looking for a quality and lightweight flashlight to use as you go camping or hiking, this is one of the best. Functions in all weather – the problem with most small flashlights on the market is that they are not durable enough. This is not the case with the Mi7 LED flashlight. This is because it is water resistant up to 2 meters underwater for 30 minutes and can as well defy impact of up to one meter. So, you can use it in rugged surroundings without the fear of dropping it. Offers bright illumination – if a flashlight doesn’t offer great light, then, it can be considered to be less useful. 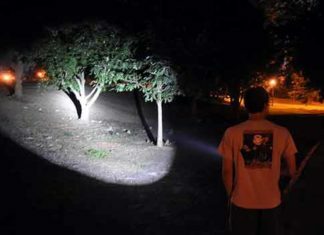 The main duty of a flashlight is to provide light in dark places so that you can access you way easily. Klarus mi7 LED flashlight offers very bright illumination. It has a maximum of 700 lumens which are exceptional for its size. The light covers a distance of 110 meters. So, you can use this flashlight to light a very wide area or the entire room. Different light modes – one of the features I love most about this edc light is that it offers different lighting modes. This includes moonlight, low, and high modes. It as well comes with two special modes which area strobe and SOS modes. On moonlight mode, the light can last up to 67 hours, low mode for up to 3hours 47 minutes, and high mode up to 53 minutes. The strobe mode is for blinding enemies while the SOS mode is for emergencies such as rescue. Powered by different batteries – the Klarus Mi7 flashlight doesn’t restrict the user to one type of battery. As a matter of fact, it accepts all types of AA batteries on the market. In addition, one can use primary LiFePO4 battery, IMR Li-ion battery, rechargeable AA battery, rechargeable Li-ion battery and Primary AA lithium battery. If you install the battery in the wrong way, the reverse polarity protection will prevent this from taking place. Outstanding features – apart from the top features that we have looked at, the flashlight has additional features like the lock out mode particularly created to prevent accidental lighting of the flashlight. The battery level indicator tells the user what percentage of battery power is remaining. While the over-discharge protection automatically lowers levels to protect rechargeable batteries like the 14500 lithium ion battery. Easy to store – after use or when not using this device, you can easily keep it in your pocket, backpack or attach it to the keychain. It also comes with a lanyard which can be used to attach it to the belt. Its small size and compact design won’t be a burden to you at all. Reliable brand – Klarus maybe a new brand in the market but its flashlights are some of the best. The Klarus mi7 is a good example and on top of the great quality, Klarus offers a 5 year warranty to buyers of the 700 lumen flashlight. The switch is not durably made and it should be redesigned. The Klarus Mi7 700 lumens flashlight is well suited for people who want a small flashlight to carry everyday as they go about with their business. Weighing 26.4 grams without battery, this LED flashlight is very light and easy to carry. You can attach it on your belt by use of the lanyard or to a keychain. It is also well built and using it is very easy by just pressing the stainless steel side switch. With three different light modes and two special modes, you can use the flashlight in different circumstances. I hope you have gotten an idea about after reading this Klarus Mi7 review.